As a branding designer, I’m a wee bit obsessed with staying on brand. But I know that sometimes, information online can be muddy about what staying on brand actually means and why you even need to. Other times it just feels like you’re putting up a fake, perfect persona that doesn’t even feel like you. And I feel you, staying on brand can feel difficult. But the good news is, it’s an easy fix! Most of the time it feels hard because you don’t have a few key foundation pieces to help you get started. Once you get started on the right foot, it becomes easy. And even kinda fun! A brand moodboard is a collection of images that reflects the vibe, colour theme and things that you feel represent your brand. It can be any image, from abstract photography, to just objects, a place or a room. Your brand moodboard should make you (and everyone else who looks at it) feel the way your brand does. They should be able to describe it in words that match your brand keywords. What is a brand moodboard for? 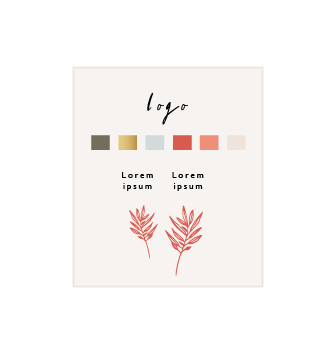 A moodboard is an excellent springboard to crafting many other elements of your branding identity, mainly your logo and accompanying elements, and your social media graphics! Imagine, never having to scramble for inspiration for your designer to come up with a design, or never having to worry about what image to post on your Instagram! When done right, it can even guide your brand voice. When all these different elements of your brand work together cohesively and consistently, you have a recognised, familiar and put-together brand. And what that kind of brand does is get you the know, like and trust factor, meaning visitors are more likely to sign up to or purchase your content. Cohesiveness and consistency is what sets apart a good brand from a great brand. When familiarity and accuracy is achieved, visitors feel like you just get them and that they’re so aligned with what you put out, that they are much more likely to work with you. Of course, just one brand moodboard doesn’t achieve all those things. But it is the foundation of a great brand. Expanding upon a moodboard can help you develop your brand voice, products or services that your audience needs and wants. Sounds good… But how to start? Often, creating a moodboard just seems like going to Pinterest and pinning a bunch of things that look pretty to you. But that method doesn’t really get a very good reflection of who and what your brand is. Think of Pinteresting for your moodboard like a room in the museum with works of art on the wall. That room is carefully curated. From the theme, to the colours, to the style of art… They were chosen specifically to be put together in the room. You can start by thinking of your brand vibe. What kinds of feelings do your brand evoke? 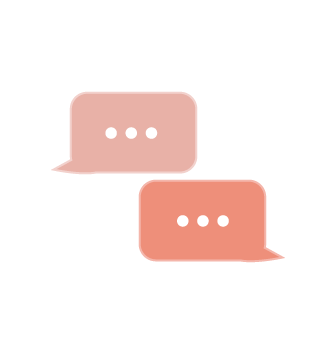 What do you want people to feel or think when they see or hear about your brand? Use that as starting point keywords to start searching on Pinterest. If you need help coming up with the theme or vibe for your brand, take the free Better Your Brand training, where I walk you through defining your brand persona, and using that to develop visuals and a voice for your brand. You will definitely get more than keywords from the class and make this process so much easier, I promise. You can Pin anything, from objects to decor, from places to close-ups… Just keep your brand vibe in mind as you go crazy on Pinterest! I’d say do around 20 - 30, don’t overwhelm yourself, it’ll make it harder to curate later. My 2017 Pinterest board went a little over the 30 recommended pins, but this was pre-curation and the dominant theme, as you could tell, was classic, clean lines and nature. After you have a substantial amount of Pins you are quite happy with, you can start the curation process. Go through all the Pins and look at each one, coming up with words you immediately think of when you see the image. Does that align with your brand keywords and vibe? You should get a resounding yes! If there are reservations, the image should probably not be on your moodboard. Remember, you’re curating for a museum. Each image should be intentionally thought about and put together. If a piece is just okay, it will mess with the entire vibe of the room and confuse the visitor! Just pretty won’t cut it. Having just your brand colours in it won’t cut it. It has to evoke a feeling that aligns with your brand. Keep curating until you have about 8 - 12 left on your board. If you have one or two less or more, that’s fine (but be ruthless!). You have your Pinterest board… but now what? Prepare yourself, because your brand moodboard can help you generate a lot more visual content for your business! Because your moodboard has been carefully curated, these elements will be the basis of all your visual designs for your brand and business. Extract colours from them and tweak them in shade to get your brand colours. Use colours on the moodboard as overlay colours for graphics, or background colours for your cover image. Not only that, your brand moodboard is a perfect prep work done and ready to go for when you’re hiring a designer to create your branding identity (ie logo, patterns etc). By having this carefully-curated brand moodboard already done, your designer can extract the same vibe and elements that s/he can then translate into brand visuals. That way, you know that you and your designer are on the same page from the start and prevent the waste of back-and-forth time later as s/he’s trying to figure out the direction of your brand identity design. To expand further, you can even use the brand moodboard as a basis to develop your Brand Voice and further refine your Brand Persona. Start creating your brand moodboard today! 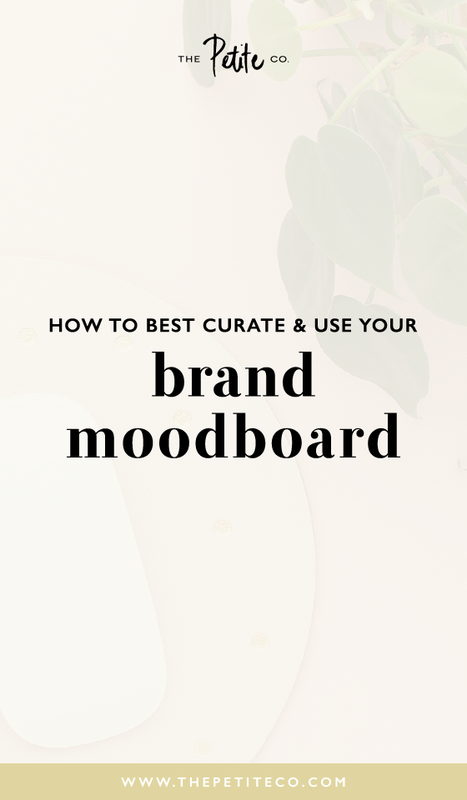 If you’ve followed this process and created your own brand moodboard, share with me in the comments below the link of your Pinterest board or Canva moodboard! I would love to see.